Home » Dr. Craig M. Mintzer, M.D. 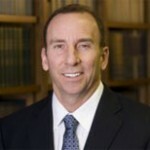 Dr. Craig M. Mintzer, M.D. Dr. Mintzer currently serves as team doctor for one of Florida’s professional basketball teams and specializes in Sports Medicine and Arthroscopic Surgery. Dr. Mintzer says his focus is on shoulders and knees, two of the most commonly injured joints in athletes. After doing his undergrad at Princeton University and going to Harvard Medical School, Dr. Mintzer focuses on athletes at all levels, from the weekend warrior to the professional sports figure. He feels these groups of people are motivated to “get back in the game.” Dr. Mintzer won the Patients’ Choice Award in 2010. In nearly 15 years of treating patients, Dr. Mintzer has only been gone for one full week from his practice and that was to accompany athletes to China for exhibition games.